Chiang Mai holds a very special spot in our hearts. After over two months in the city, we thoroughly experienced and enjoyed many plates of pad thai and mango sticky rice. I personally couldn’t get enough of it. 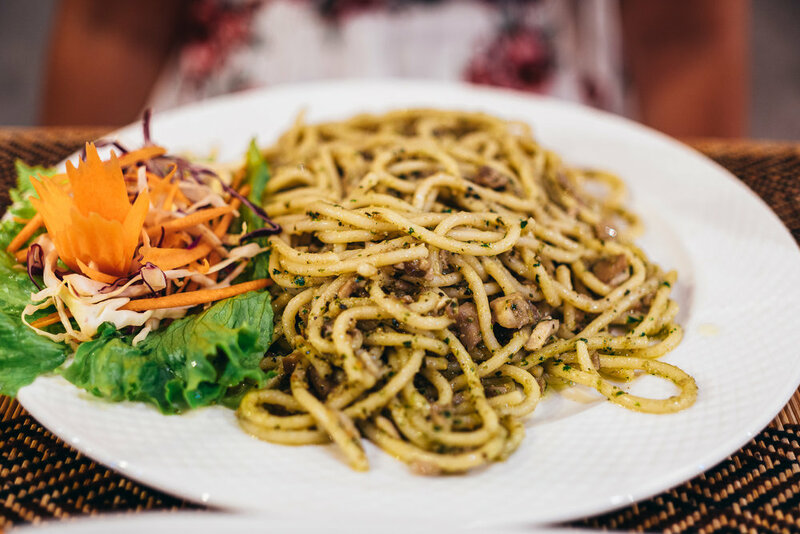 Because of the really affordable cost of living in Thailand, we were able to dine out more than usual and try our fair share of restaurants… even outside of the realm of fried noodles. 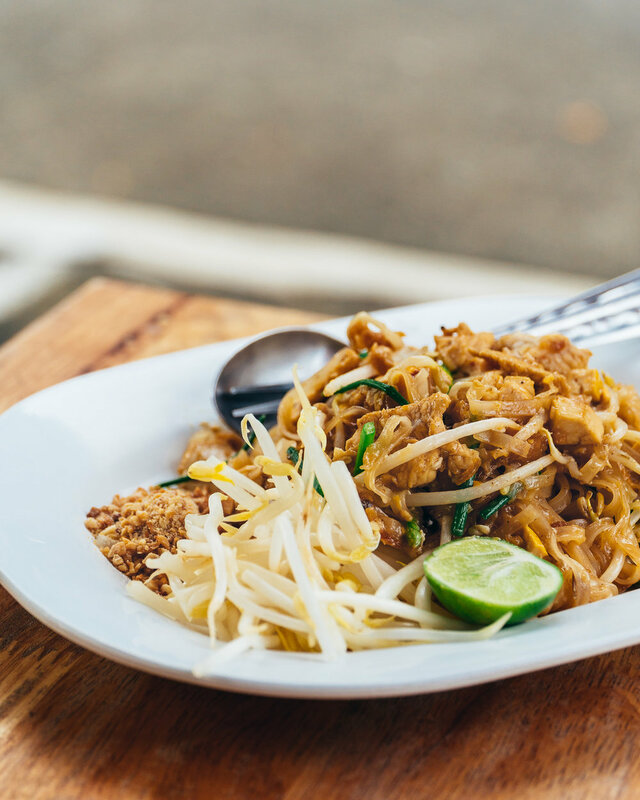 Read on to find out what we consider to be the best restaurants in Chiang Mai! Our top pick is at the end! 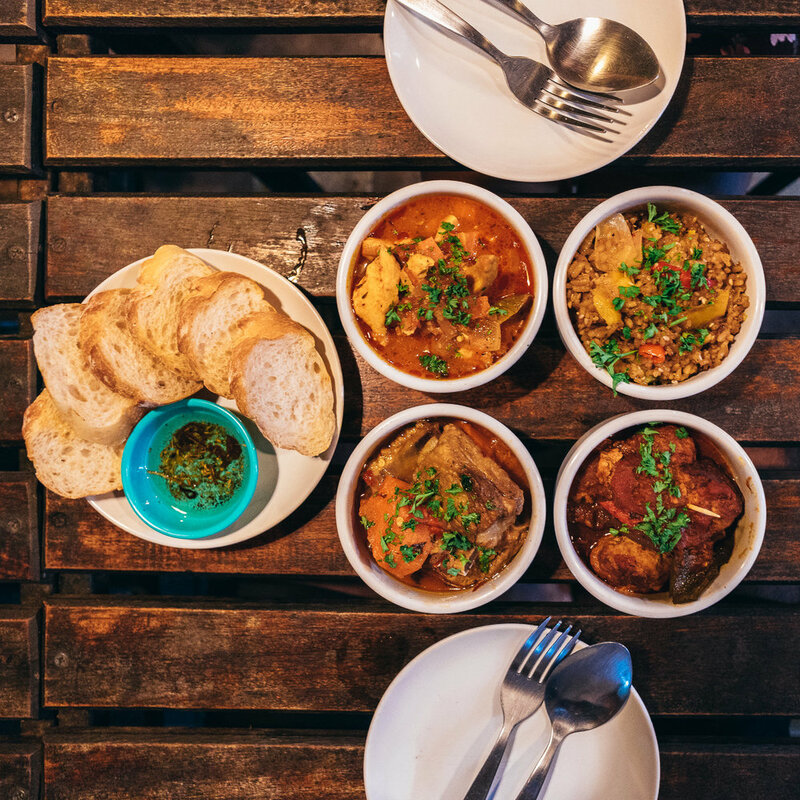 We’ll start with a restaurant that specializes in one of our favorite styles of cuisine — tapas. According to the waiters, the owner of the restaurant is a Thai chef that studied in Germany for some time before opening Bar Fry. 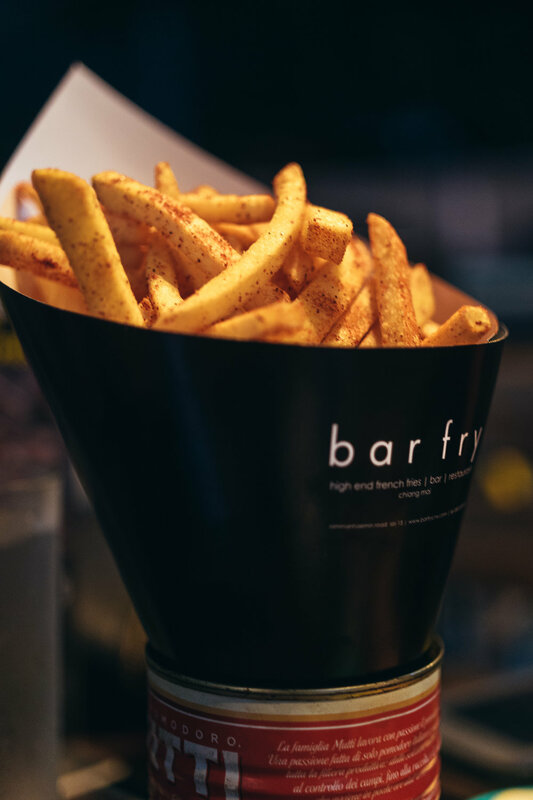 The convergence of influences show, as the typical Spanish tapas served at Bar Fry are served alongside several beef dishes and stews cooked in variations that are changed on a daily basis. The food here is unique, reasonably priced, and delicious… all reasons that convinced us to visit once more before leaving Chiang Mai. Are you hungry? Like, really hungry? Then... this one of the restaurants you need to visit in Chiang Mai. Ever since our journey began, I’ve taken pride in my ability to eat endlessly without temporarily dying or going into comatose after the meal. The Salsa Kitchen put my abilities to the test. The portions are large here. They serve mexican food, which by my estimation (I’m not from Mexico and I rarely eat Mexican food) was great. The enchilada I had was enormous and flavorful, as were the fish tacos Marta had, and the margaritas we drank. Also, I should point out that one of their sauces was spicy enough to make my eyes water, but sweet enough for me to continue eating it, sadistically. And also sweet enough to make me forget to photograph any of the food before eating it all. So, nothing to see here... On to the next one. Accha is another restaurant that had us coming back more than once. 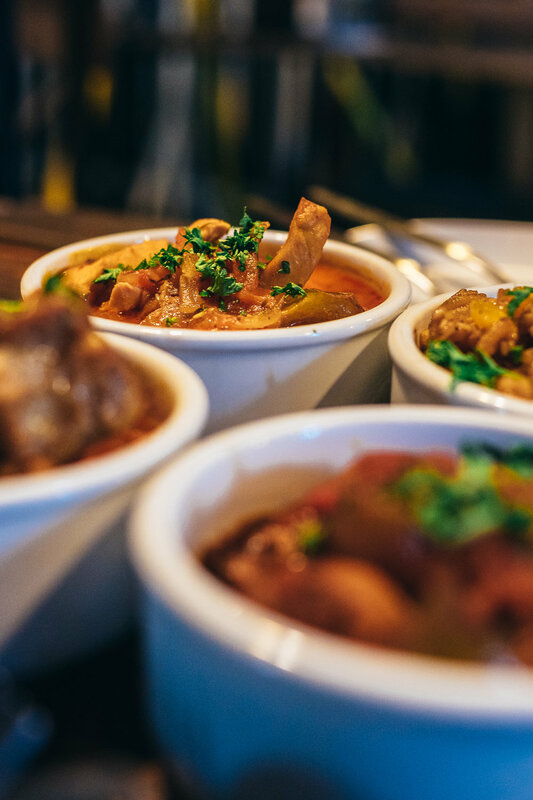 Their Indian cuisine is fantastic and, if you’re like us, you’ll appreciate that they can hold back on the spicy curry sauces if you ask them to. Trust us, this is not common for Indian restaurants; they say they’ll do it, but it’s almost always a bold-faced, deliciously painful lie. Needless to say, we took advantage of this. This restaurant was pricey relative to Thai prices, and had our daily food budget in a tap-out chokehold. Nevertheless, the butter chicken and forty orders of garlic naan bread were worth it, every single time. We only visited Vegan Heaven once; we liked it, but we only intended on trying veganism for one day. We won’t be commenting on veganism, but we can say this: The vegan chicken burger tasted great. It didn’t taste like chicken, because it’s mostly mashed beans, but it tasted great. And then the mango sticky rice actually surprised us, as it was one of the best ones we had in all of Chiang Mai. If you’re a vegan, this is the restaurant for you. 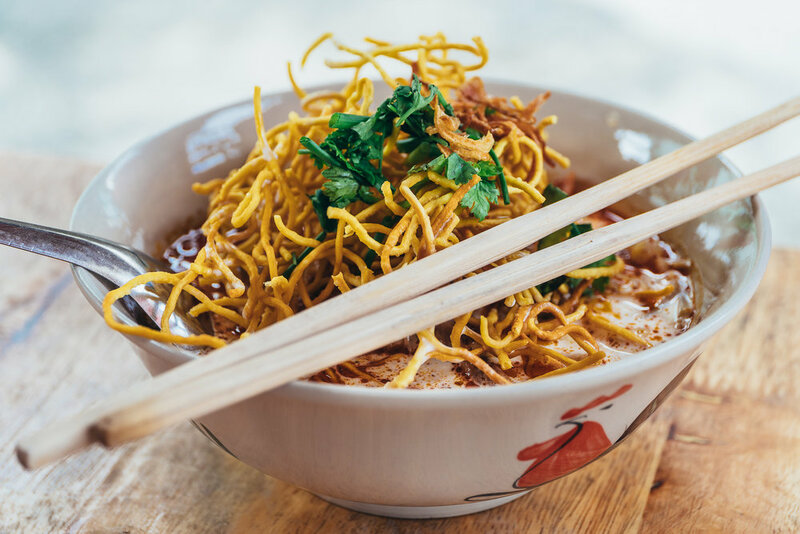 The selection of food is diverse and delicious, and the prices are reasonable, although much pricier than the non-vegan counterparts found all throughout Chiang Mai’s streets. Romantic dinners are important. You don’t travel halfway across the globe with your significant other to dine on shoddy benches and out of styrofoam trays 100% of the time. 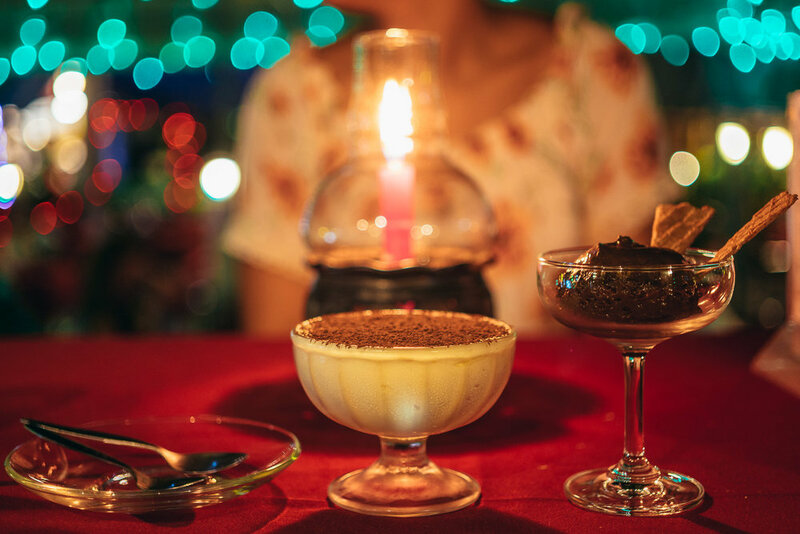 Occasionally you want a candlelit Italian dinner, and that’s where “Why Not?” comes in. This is another relatively pricey restaurant — our backpacker budget wouldn’t talk to us for days after eating here. (The total was roughly $25, to give you an idea.) Fittingly though, the brick-oven ham pizza and lasagna we had were fantastic. On the other hand, the chocolate mousse and tiramisu desserts we ended our meal with were presented well but overall a bit of a letdown, given how good the rest of the food was. Still, you could do much worse for Italian food all the way out in Thailand. 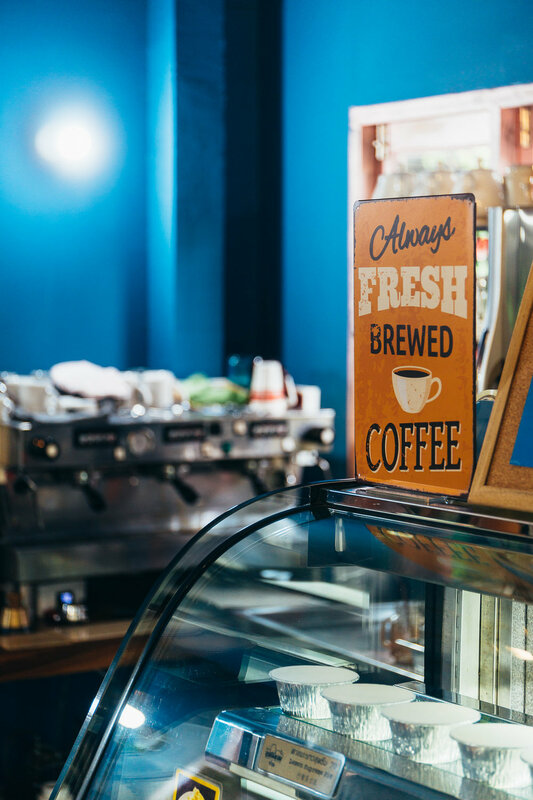 For as much as we inhale sweets, we had to sneak one pastry shop onto the list. Charin Pie is a homemade pie and pastry shop/cafe that we couldn’t resist. Marta is the sweet-tooth in the relationship, but I was taught as a child to eat everything placed on the table — including desserts. It would be rude not to. So, when you walk into a store with 0 delicious pies and walk out with 4 of them (lemon meringue, coconut, chocolate, and another lemon meringue because why not), I proceed with the eating. 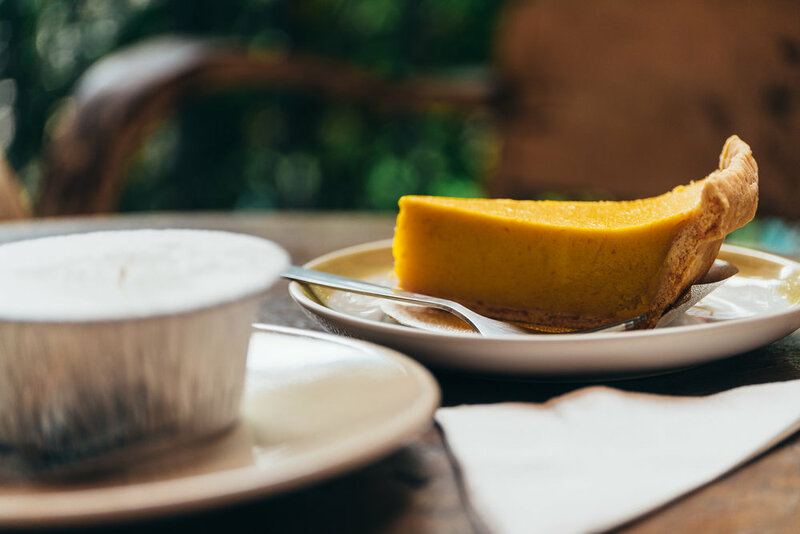 Whether you go for the discounted pies or the almost-out-of-stock ones, you won’t be disappointed. The prices are also very fair, considering how delicious the pies are. For those of you wondering — yes I was chubby as a kid. I’m working my way back up to it. 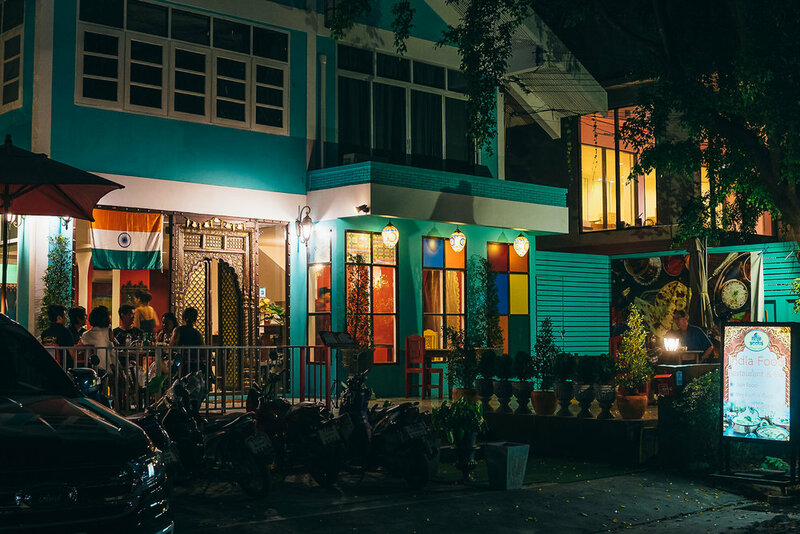 You won’t find "Domdom’s Restaurant" (pronounced: dum-dum) on Google Maps or Yelp, and yet this is our favorite place to eat in all of Chiang Mai. We ate there virtually every day, once a day, and only regretted not knowing about him from Day 1. So, first things first: who is Domdom, how did we find him, and where is he? Domdom is a Thai chef that spent an extended amount of time living in Italy, living there as a tour guide, but also picking up many of the culinary teachings. 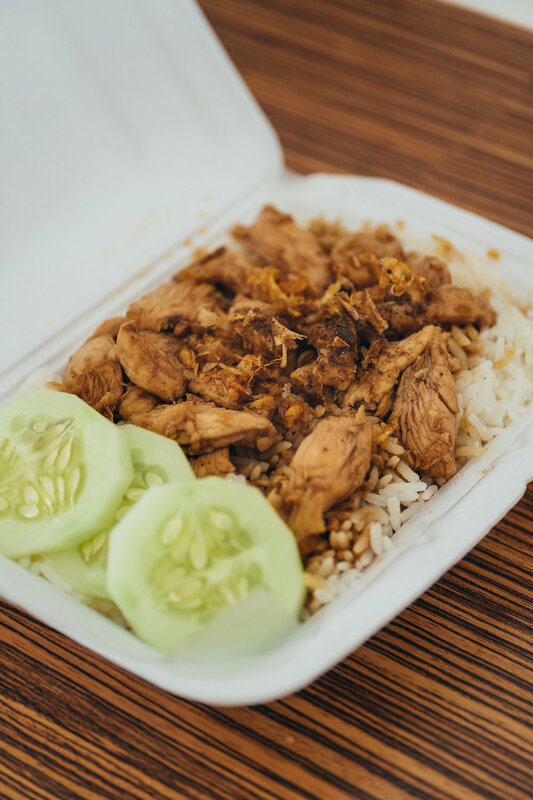 He brought what he learned over to Thailand and fused it into his own cooking, creating slight variations on traditional Thai dishes that result in spectacular meals. From the substantial portions, to the incredibly affordable prices ($1–$1.5 per plate), we couldn’t recommend eating here enough. 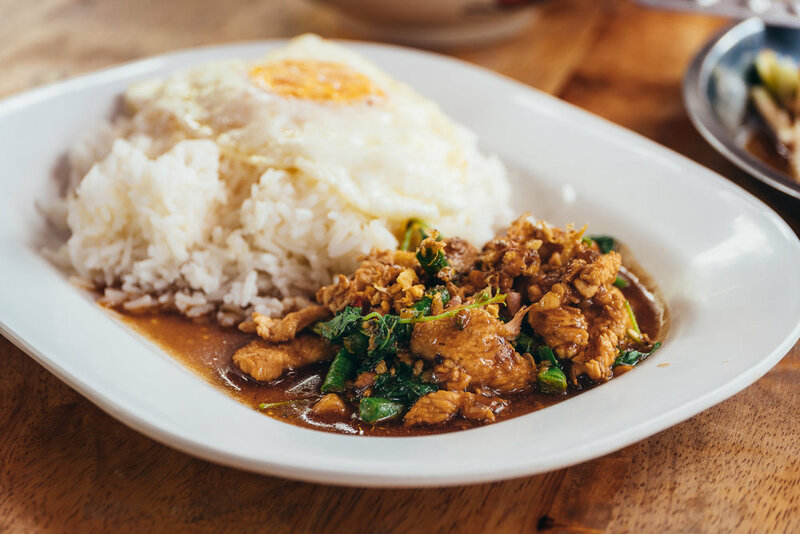 His cooking is one of the main things we miss most when thinking of Thailand. We found Domdom by pure chance: it was one of the random restaurants we strolled into for lunch. And for those planning to visit, he opens his humble restaurant from about Noon to 7-8 PM, which makes it perfect for lunch or a slightly early dinner. And finally, if he’s not on the Map, where is he?! [02/2018 Update: Removed old map name to eliminate confusion.] Well, he can be found in front of Green Palace Hotel on Siri Mangkalajarn Rd. Of the restaurants we posted, which one seemed most appetizing? And... we obviously didn’t have the chance to eat everywhere — was there a place that should have been on the list? Let us know down below!